On Saturday, August 30, the Smithsonianâ€™s National Zoo will bring back the American bison in a new exhibit and habitat. Â Zora and WilmaÂ are not only beautiful animals, but they also serve as an important reminder about conservation and the Zooâ€™s inception. 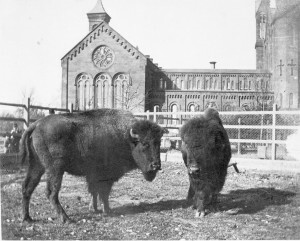 In 1887, American bison wandered the National Mall, helping to bring awareness to the endangerment of the species. Two years later, Congress passed legislation to found the National Zoo, celebrating its 125th anniversary this year. At Affiliations, we are wallowing in the excitement of welcoming these magnificent animals to Washington. So we decided to scan our herd of partners, to see where else the mighty American bison are roaming among Affiliate plains. We found a virtual stampede of bison content in Affiliateland! – It seems appropriate to start in Wyoming, at the Buffalo Bill Center of the West. After all, it was â€œBuffalo Billâ€ Cody who offered the Smithsonian a herd of 18 bison in 1888. Painfully, the gift had to be refused for lack of space on the National Mall. 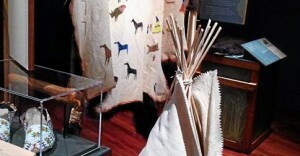 Â But today, you can find plenty of bison material at the Buffalo Bill Center in Cody. The Centerâ€™s museums house an impressive collection of art depicting â€œNatureâ€™s Cattle,â€ including beautiful Audubon prints as well as Native artifacts made from the bison, and natural history specimens. – It was a Nebraska rancher who donated the very first bison to the Smithsonianâ€™s collection, so it seems natural to travel on to Omaha to visit â€œScout,â€ the beloved bison on view at the Durham Museum. At 7 Â½â€™ high and 10â€™ long, this magnificent specimen helps to tell the important story of the Midwestâ€™s history with the bison. 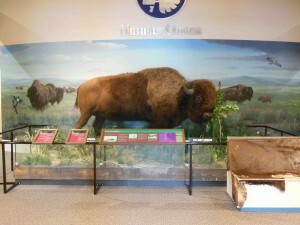 As part of their bison interpretation, the Durham Museum uses the online resource Tracking the Buffalo from the National Museum of American History. Go ahead â€“ take the siteâ€™s interactive test to guess what you could make from all the parts of the animal. – Â Some bison though, were revered beyond all that they could provide for Native people. A white bison is extremely rare, appearing once in approximately five million births. For this reason, these animals are considered sacred and possess great spiritual power to Native and non-Native people alike. Given this extreme rarity, where could you ever see one now?! 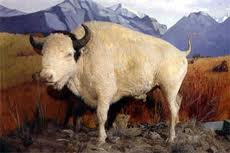 The Montana Historical Society in Helena displays â€œBig Medicine,â€ a white buffalo who died in 1959. With blue eyes, tan hooves, and a brown topknot, thereâ€™s still plenty of reasons to revere the beauty of this extraordinary specimen today. – As rare as Big Medicine is, perhaps no bison has the hometown spirit of â€œOn the Wind,â€ the massive bronze bison who greets visitors to the History Colorado Center in Denver. 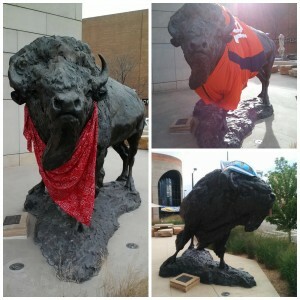 Heâ€™s been seen wearing bandannas when the stock show comes to town, a Broncos jersey during football season, and even a bike helmet during the recent Pro Challenge cycling race through the state. Heâ€™s also an important reminder of the stories told inside the Center about the historic relationship between bison and the peoples of the West. – To travel even further back in time, check out the archeological remains of a gigantic Ice Age bison at the Denver Museum of Nature and Science. Excavated from the Colorado Rockies, this iconic specimen and its neighbors represent one of the most significant fossil discoveries ever made in Colorado. Â How gigantic was it? Â Twice the size of a modern bison! Â How do we know? Â It had a horn spread more than 7â€™ wide (compared with the 2 Â½â€™ spread of the modern buffalo). 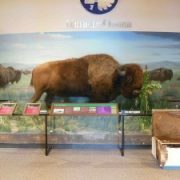 – If youâ€™re finding it hard to imagine the size of a modern bison without actually seeing one, the South Dakota State Historical Society can help you out. Â Theyâ€™ve devised a fun 30-page coloring sheet called How Big is a Buffalo. Bison make quite an appearance in the Societyâ€™s education kits, which include objects, lesson plans, worksheets and ideas for additional activities. The Buffalo and Plains Indians, Lewis and Clark, and Archeology kits are just a few that explore all facets of this great American species. – Lest you think the Affiliate bison only roam west of the Mississippi, think again. Â The Mashantucket Pequot Museum in Connecticut is currently displaying The Bison: American Icon exhibition, which explores â€œthe dramatic changes that occurred to the bison and its habitat, and to the people who depended on it for their daily existence.â€ At the end of September, the Museum invites visitors to take the Bison Challenge â€“ an outdoor activity that will test your speed, strength, and senses against the performance of a bison. Â Good luck! As the song goes, â€œoh give me a homeâ€¦ â€œ Â Itâ€™s gratifying to see how many Affiliate â€œhomesâ€ across America celebrate the iconic bison, and that the Smithsonian will soon provide two of them a home in the nationâ€™s capital. How does your museum interpret the mighty bison? (Weâ€™re looking at you IdahoÂ and Oklahoma) Â Tell us your stories! 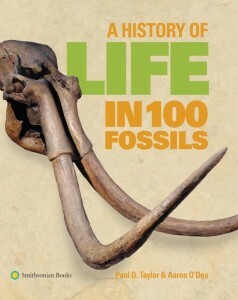 The author is a National Outreach Manager in Smithsonian Affiliations, and a long-time buffalophile. The Berkshire MuseumÂ (Pittsfield MA) has been awarded $83,600 in energy incentive grants from the Berkshire Gas Co. and the Western Massachusetts Electric Co. The grants will be used as partial funding for a project that will incorporate energy efficiency measures in the museumâ€™s heating, ventilation and air conditioning (HVAC) systems, which is necessary to protect the museumâ€™s collections of art, historical objects and natural specimens. The Putnam MuseumÂ (Davenport IA) has received a $5,000 Cultural Leadership Partners Project Grant from the Iowa Arts Council, a division of the Iowa Department of Cultural Affairs. Grant funds will support the Quad-Cities Jewish Heritage Traveling Exhibit, a project supported by the Jewish Federation of the Quad-Cities and guest curator, Dr. Art Pitz. The exhibit of photos, graphics and text will trace Jewish history in the Quad-City region and will appear at public libraries and other locations beginning in early 2015. The Ohio Arts Council awarded sustainability grants of $12,998 to the Springfield Museum of ArtÂ (Springfield OH). Â They can be used toward advertising, a print newsletter, new lights, art education and exhibition programs. The Frontiers of Flight MuseumÂ (Dallas TX) has received a $20,000 grant to support a traveling exhibit on American prisoners of war. The gift from the UPS Foundation will pay for special educational tours for 640 students and will enable 500 former POWs and their families to see the exhibit for free. â€œVictory From Within: The American Prisoner of War Experienceâ€ examines life as a POW from the Civil War through modern times. George Jacob, Â former executive director of the Ellen Noel Art Museum (Odessa TX) has accepted the position of President of the International Museum of Art & Science (McAllen TX). Affiliates are “going back to school” with gusto this September! Smithsonian Affiliations staff will participate in a ceremony with Senator Patrick Leahy to announce our new affiliation with the Sullivan Museum and History Center, the first Affiliate in Vermont, in Northfield, 9.2. 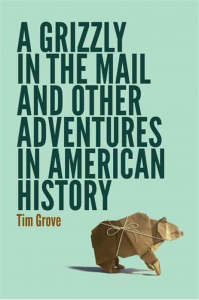 The Abbe Museum welcomes Tim Grove, educator at the National Air and Space Museum, for a talk and signing of his new book A Grizzly in the Mail and Other Adventures in American History, in Bar Harbor, 9.4. The Birmingham Civil Rights Institute hosts the Save Our African American Treasures program organized by the National Museum of African American History and Culture, in Birmingham, 9.6. Chef and expert on Native cuisine Richard Hetzler presents a lecture and cooking demonstration at the St. Augustine Lighthouse & Museum in St. Augustine, 9.6. The Museum of Arts and Sciences presents Septembers with the Smithsonian, which includes a public lecture by Craig Saffoe, Curator of Big Cats from the National Zoo, 9.20; and a concert and student workshops with the Smithsonian Jazz Masterworks Orchestra, in Daytona, 9.27. 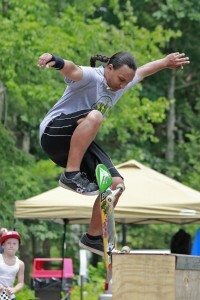 The Ah-Tah-Thi-Ki Museum opens SITES Ramp It Up: Skateboard Culture in Native America in Clewiston, 9.13. The Perot Museum of Nature and Science hosts a workshop on Creating Collections with Young ChildrenÂ led by educators from the Smithsonian Early Enrichment Center, in Dallas, 9.11-12. George Jacob, Executive Director, Ellen NoÃ«l Art Museum (Odessa) will give a lecture on the meaning of WPA era murals as part of The Art of Tom Lea: Preserving Our National Heritage symposium hosted by the Smithsonian American Art Museum in Washington, D.C., 9.24. The National Museum of American History collaborates with the Arizona Historical Society and the Arizona State Museum to present the Letâ€™s Do History professional development program for teachers in Tucson, 9.20, 27. The Idaho Museum of Natural History opens SITES I Want the Wide American Earth: An Asian Pacific American Story exhibition in Pocatello, 9.20. Renee Anderson, textile conservator at the National Museum of African American History and Culture, will spend a week at the U.S. Army Heritage and Education Center, in dialogue with staff on conservation projects and future collaboration opportunities, in Carlisle, 9.22-26. 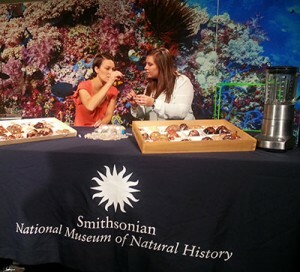 More than 75 Affiliates will participate in Smithsonian Museum Day Live!, offering free admission to their museums, 9.27. Find a list of participating Affiliates here. 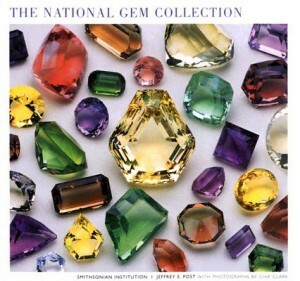 The Lizzadro Museum of Lapidary Art hosts a talk by National Museum of Natural History curator Jeff Post on A Look Inside the Smithsonianâ€™s Gem & Mineral Collection in Elmhurst, 9.28. Smithsonian Affiliations staff will attend the opening ceremonies of the new BioMuseo when it opens to the public in Panama, 9.29. 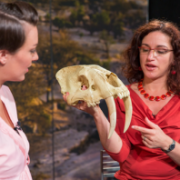 Smithsonian physical anthropologist Dr. Briana Pobiner with the skull of a sabertooth during a Smithsonian Science How webcast. Live webcasts are offered every month during the school year on Thursdays at 11 and 2 PM eastern time. Smithsonian photo by Wei Qian. Smithsonian Science How is back! 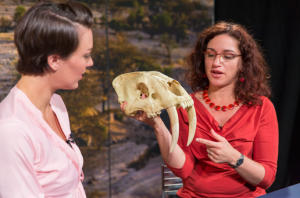 Â Following a successful partnership with six Smithsonian Affiliates earlier this year, the popular webcast has returned with new dates and new topics. Â These free, interactive, TV-style webcast programs will introduce middle school students to core science concepts through the lens of Smithsonian research and experts, providing students with positive STEM role models and a connection to science in their lives. Â Explore the topics in the schedule by presenting a webcast at your location, using the classroom activities, and connecting the discussion to your own collections. A schedule of the programs and list of the topics that will be presented is available here. If you are a staff member at a Smithsonian Affiliate who would like to offer the program, please email us at affiliations@si.edu to sign up and receive resources, including strategies to share this program on social media. Â Affiliate partners will be asked for information about their audiences, numbers of attendees and which webcasts will be offered. Since 2002, nearly 50 full-time staff members from Affiliate organizations have participated in the Smithsonian Affiliations Visiting Professionals Program (VPP). Itâ€™s one of the biggest benefits of being a Smithsonian Affiliate and one of the most rewarding aspects of my job. Not only do our Affiliate colleagues get the opportunity to immerse themselves in the Smithsonian for two weeks, but the whole Smithsonian Affiliations team gets to meet Affiliate colleagues that we may not normally interact with. It gives all of us an amazing opportunity to network with each other and learn about our individual organizations. Michelle Beumer from the Patricia and Phillip Frost Museum of Science worked with the Q?rius team at the National Museum of Natural History in 2014. The 2014 cycle of the VPP welcomed 6 Affiliate staff members who started in early April and wrapped up at the end of August. One of the most frequently asked questions is â€œdo I have to be a curator or a senior-level staff member to participate?â€ and we always smile and reassure folks that any full-time staff member from an Affiliate organization may apply to participate. This year, we accepted six Affiliate colleagues to the programâ€”a group programs coordinator, an assistant executive director, a director of programs and interpretation, a public programs manager, a digital project archivist, and a curatorial specialist. Everyone was looking to learn something different from the Smithsonian to take back to Affiliate organizations. 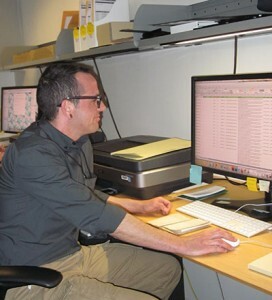 JA Pryse from the Oklahoma Historical Society hard at work in the Smithsonian Institution Archives. Do you have a project youâ€™re working on that could use a little help from the Smithsonian? Is there a skill or subject matter youâ€™d like to learn a little more about? We are now accepting applications for the 2015 Smithsonian Affiliations Visiting Professionals Program. The deadline is November 28, 2015. Apply online and view the application process here. If you have questions about the program, the application process or past visiting professional projects, contact Elizabeth Bugbee. If you would like to bounce potential project ideas for a future application, contact your National Outreach Manager. 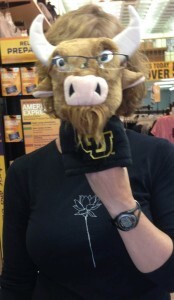 https://affiliations.si.edu/wp-content/uploads/2014/08/beumer-300x272.jpg 272 300 Elizabeth Bugbee https://affiliations.si.edu/wp-content/uploads/2019/03/si_Affiliations_rgb_single-line_color-280w-1.jpg Elizabeth Bugbee2014-08-26 13:38:462017-03-10 17:50:412015 Affiliations Visiting Professionals Program- Apply now! Do any of these topics sound interesting to you? 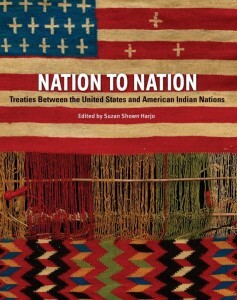 One of the new books (and exhibitions) coming from the Smithsonian this fall. 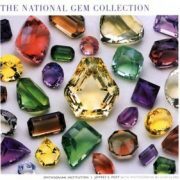 If so, take a look at Smithsonian Books new seasonal catalogs for these and more ideas for public programs. In the course of this year, Smithsonian Affiliates have hosted over two dozen curators, scientists, folklorists and other Smithsonian experts talking about their research or new publications through lectures, workshops and family days at Affiliate sites. Hosting a talk and signing around a new publication is a straightforward, informative and timely way to bring the Smithsonian to your neighborhood. 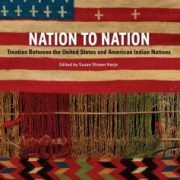 In their online publication catalog, Smithsonian Books shares information on the content of each book and brief biographies of each author. Smithsonian Affiliations staff can help give feedback and context, and put you in touch with possible speakers and additional related content such as online educational resources or exhibitions. Consider it your syllabus for the fall and spring! And donâ€™t hesitate to contact us for more information.